THE OFFICE OF the Ombudsman has received 84 formal complaints from residents living Direct Provision so far this year. Of the 84 complaints, 49 relate to the Department of Justice’s Reception & Integration Agency, which is responsible for the administration of State provided accommodation. The agency is currently investigating a recent incident after a mother in a Direct Provision centre said that she was refused food for her sick child. The Department of Justice has said that this incident arose from a miscommunication between staff at the centre in Co Clare. Staff there will now be retrained. “The contractor will also ensure that tea and coffee and snacks are available on a 24/7 basis as per the contract,” a spokesperson has said. 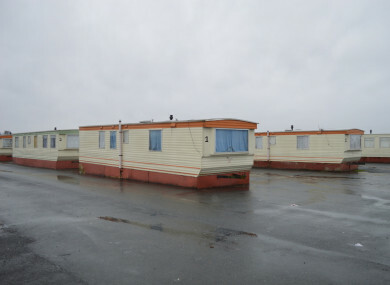 Ten complaints have been made so far this year about Direct Provision centres, including accommodation, staff and food. Direct Provision centres provide temporary accommodation facilities for people who come to Ireland and present as asylum seekers. Due to the lengthy application and appeals process, families and single people can live for years in these centres as they await a final decision. There have been increased calls to end the system in recent years. The Irish Refugee Protection Programme was the subject of 10 complaints in 2018 while there were 11 complaints relating to the Department of Employment Affairs & Social Protection. The programme was set up in 2015 in response to the refugee crises in Europe. There were two complaints about the Health Service Executive (HSE) and two complaints about the Department of Justice. Complaints made in 2018 bring the total number to 181 since the Ombudsman’s office began accepting complaints from people in Direct Provision in April 2017. Earlier this year, Ombudsman Peter Tyndall said that as Ombudsman staff have visited more centres, the number of residents expressing fear of persecution “seems to have declined”. Ellie Kisyombe, who is originally from Malawi and co-founded Our Table, a community-led food project campaigning for an end to Direct Provision, has lived in the system since 2010. Kisyombe says that people living in the system are still afraid to make complaints. There are 34 Direct Provision centres currently operating around Ireland. The Office of the Ombudsman has the responsibility of examining complaints from people who feel they have been unfairly treated by certain public bodies. Email “84 complaints from Direct Provision residents so far this year”. Feedback on “84 complaints from Direct Provision residents so far this year”.